One of the most electrifying players in Europe, at the moment, has to be Borussia Dortmund’s Pierre-Emerick Aubameyang. The 26-year-old striker is currently the joint top scorer in the Bundesliga with 13 goals, and shows no sign of slowing down anytime soon. But it wasn’t always so promising for the Gabon international. Pierre-Emerick Aubameyang’s first experience with a major European club came as a teenager at AC Milan. 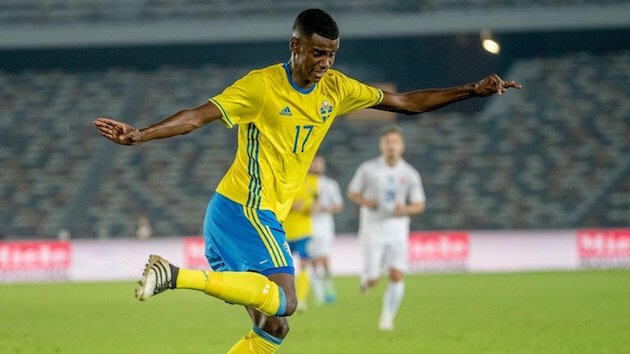 The pacey striker joined the Italian titan at the age of 18, and during the 2007 Champions Youth Cup, Aubameyang led not just his team, but the entire tournament in goals with seven through six matches. His impressive performances with Milan’s youth team made it seem like just a matter of time before the teenager would break into their star-studded starting XI. The year after the Youth Cup, Aubameyang was sent on loan to French side Dijon in Ligue 2. During his time in the second division of France, the young striker would make 34 appearances in league competition (23 of those came as a starter), and he would also go on to score eight goals for his temporary club. The transition to professional competition did little to hinder Aubameyang’s development, and it looked like Milan had itself a star in the making. After his productive one-year stint at Dijon, the teenager was sent out on loan again the following season. 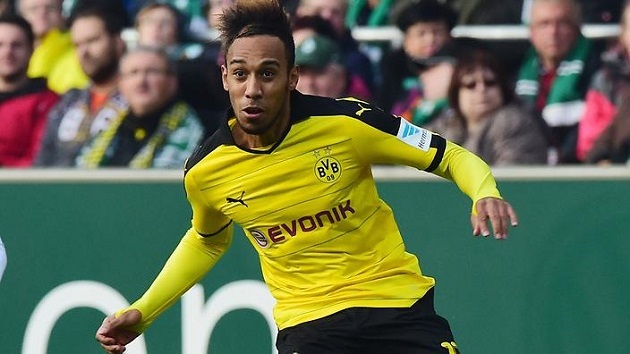 This time, however, Aubameyang would finally get a taste of top-flight competition as he joined Lille in Ligue 1. Aubameyang couldn’t find quite the same success that he had at Dijon during his time at Lille. Through the 2009/10 campaign, the 20-year-old made 14 league appearances (four as a starter) for his new club, and the limited playing time also saw a drastic decline in his goal tally as he found the back of the net just twice. This poor year in France did little to persuade Milan’s coaching staff that Aubameyang deserved a chance in their senior side. For the next two seasons, Aubameyang would split his time between AS Monaco and Saint-Étienne in Ligue 1. Still technically an AC Milan player, the loaned out striker would make a grand total of 33 appearances for Monaco and Saint-Étienne between 2010-2011. During the second half of that season, Aubameyang looked to ingrain himself in Saint-Étienne’s squad and eventually earned himself a permanent move to the French club in December of 2011. 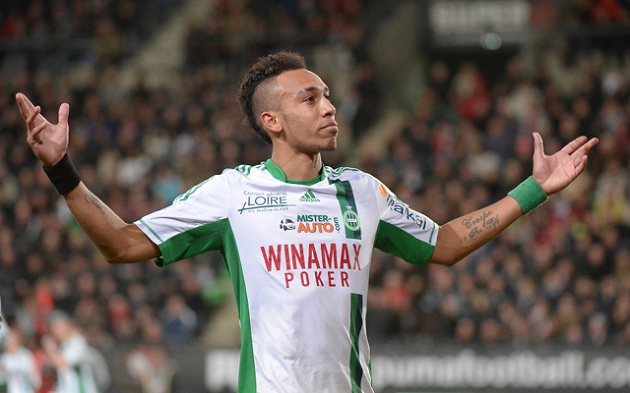 During his first full year with Saint-Étienne, Aubameyang set career-highs in starts (36) and goals (16). The striker’s impressive performances for his new club helped them finish four spots higher than they did the previous season, but they narrowly missed out on Europa League competition, falling one point behind Bordeaux for fifth in the league. It looked as if the 23-year-old had finally found a home. In his second, and final, year at the French club, Aubameyang would earn his first piece of professional silverware at Saint-Étienne won that year’s Coupe de la Ligue. In addition to his first trophy, Aubameyang also surpassed his astounding goal tally from the previous season scoring 19 this time around. Another impressive season in France started to earn the Gabon international some attention from other major clubs in Europe. After two years at Saint-Étienne and five years in French competition, Borussia Dortmund decided to sign Aubameyang in the summer of 2013. The move to the Signal Iduna Park put the striker alongside the likes of Marco Reus and Robert Lewandowski in attack, easily the most talented players that he had played with up that that point in his career. The move to German football saw Aubameyang continue to shine as he scored a hat-trick in just his third appearance for the club against FC Augsburg. Through his first season at Dortmund, Aubameyang appeared 40 times between the Bundesliga and Champions League, scoring 14 goals along the way while also helping his club win the DFL SuperCup. The budding partnership between Aubameyang and Lewandowski in attack lasted just one season as the Polish striker left to join league rivals Bayern Munich in the summer of 2014. The loss of Lewandowski put the pressure on Aubameyang to find the goals for Dortmund. An uncharacteristically poor season from the German giants saw them struggling for form, and at one point struggling to stay above the relegation zone. Despite this poor team form, Aubameyang continued to improve on his goal scoring form as he found the back of the net 24 times between the league, Europe and domestic cup. After the slight detour from their typical title-challenging season, Dortmund and Aubameyang have come out firing for the 2015/16 campaign. Aubameyang is off to his hottest start to date scoring 13 times in just 11 league matches. This unbelievable form was highlighted by the striker’s back-to-back hat tricks against FK Qabala (Europa League) and FC Augsburg (Bundesliga) just three days apart. Can he sustain this form throughout the season? 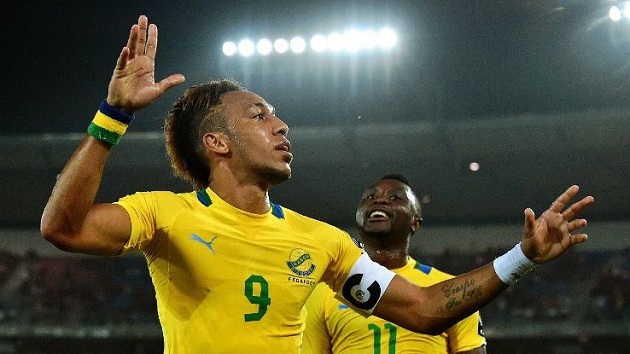 Despite being born in France and having a French passport, Aubameyang represents Gabon on the international level. His debut for the African nation came during a World Cup Qualifier against Cameroon in 2009. The Dortmund striker has represented his adopted nation in the 2012 African Cup of Nations, where they reached the quarterfinals, and also in the 2012 Olympic Games in London, where they were eliminated in the group stage of the tournament. He also captained his nation during the 2015 African Cup of Nations, but he was unable to lead them past the group stage as he scored just one goal in the tournament. Without a doubt, the most important aspect of Aubameyang’s game is his electrifying pace on the pitch. Few players in the world could keep up with the Dortmund striker in a sprint, and this makes him a constant threat to get behind opposing backlines to latch on to long balls from his teammates. In addition to this pace, he also has a very high soccer IQ which is very evident in his positioning in front of the net. A good amount of Aubameyang’s goals come from just yards away from net, because he positions himself perfectly for easy tap-ins and breakaways. While his goals may not be the flashiest (his front flip goal celebration makes up for that), at the end of the day all that matters is that he can put the ball in the back of the net.